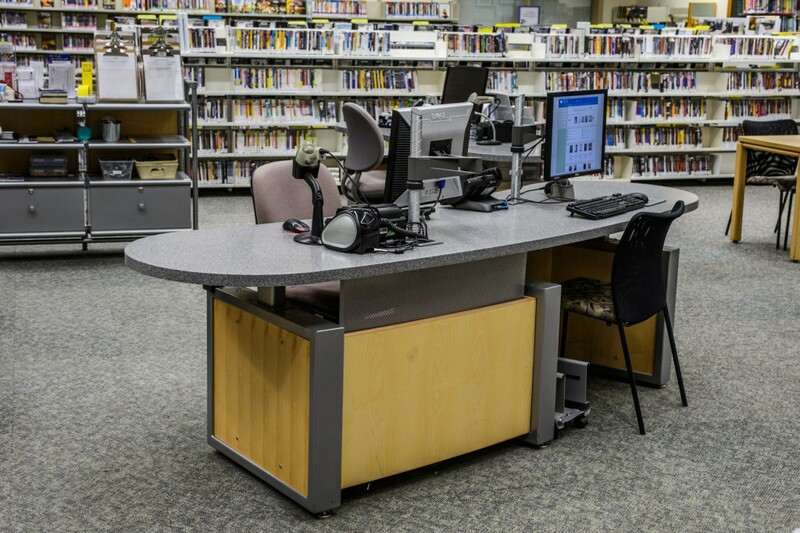 The Pierce County Library System serves over 500,000 community members across 19 libraries. In 2013, they were one of 10 libraries to receive the National Medal for Museum and Library Services. This dynamic and innovative system is constantly adapting spaces and programs to meet the present-day needs of their communities. When 10 of their 19 branches had inadequate service desks that needed to be replaced, Lorie Erickson, Facilities Director, took swift action. Recalling she had picked up a brochure on reference desks at a tradeshow (Demco’s TechnoLink® Desks to be exact), she promptly called her Demco representative. As fate would have it, he happened to be in her town and drove right over. They discussed the needs and requirements for the desks, and her vision for a changing service model for the libraries. 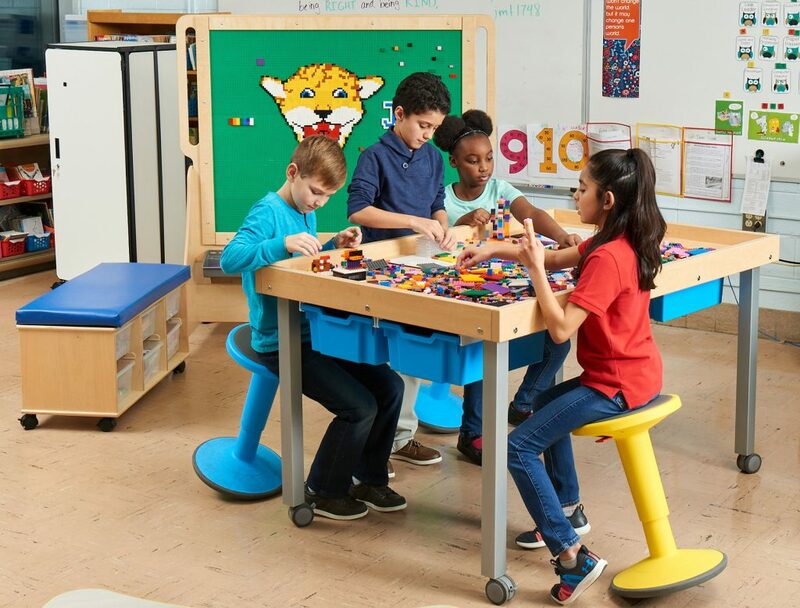 Lorie was impressed with the height adjustability feature of TechnoLink desks, along with the versatile components, modern aesthetic, and quality. She particularly liked how TechnoLink desks supported her goal of consistent service points throughout the system. 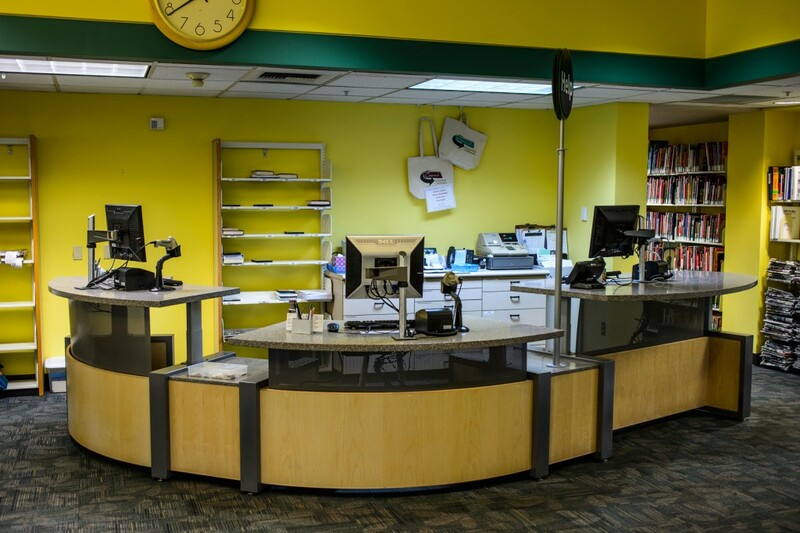 Starting with common elements of curved design, height-adjustable work surfaces and ADA patron access points, ultimately each site’s desk was tailored to fit the space and color scheme. In all branches reference and circulation functions were combined into a central service point, offering patrons a one-stop shop for service. 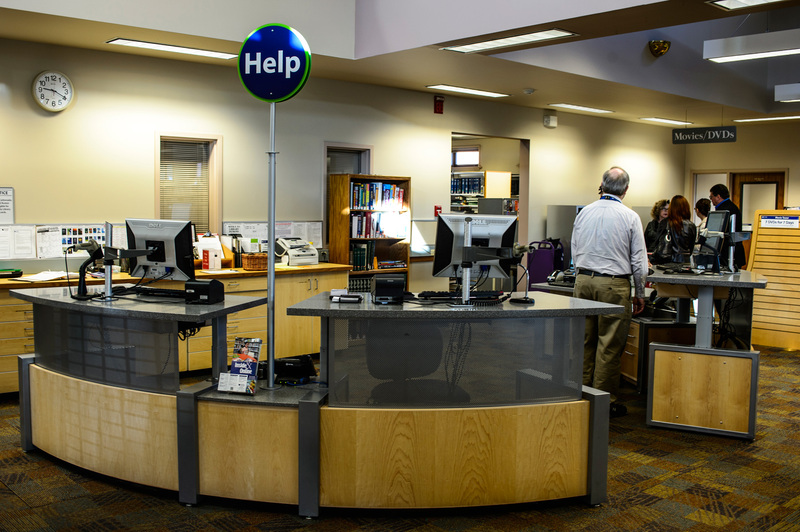 A prominent “Help” sign rises from the desk, guiding patrons to answers to their questions. The physical changes to the desks were made to facilitate how service was handled at the library so the actual desks were really only one part of the story. 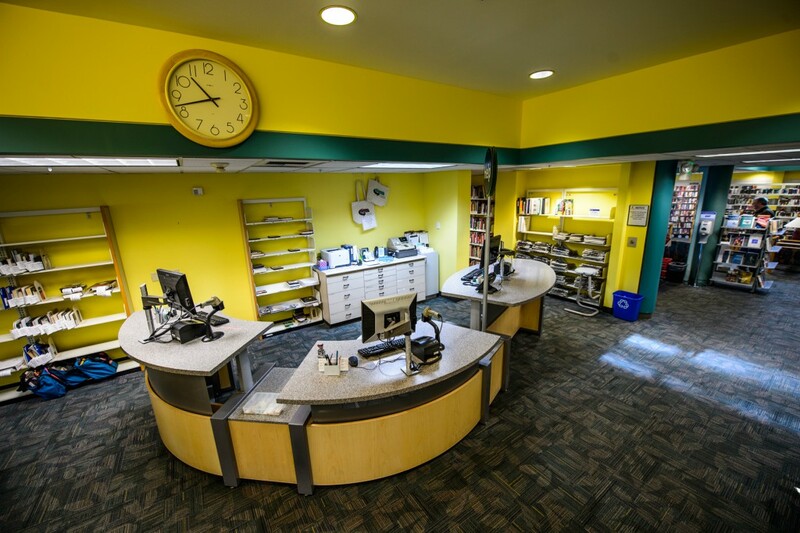 While the new spaces were being designed, library leadership determined that a retraining of the staff was needed in order to provide the best customer experience. 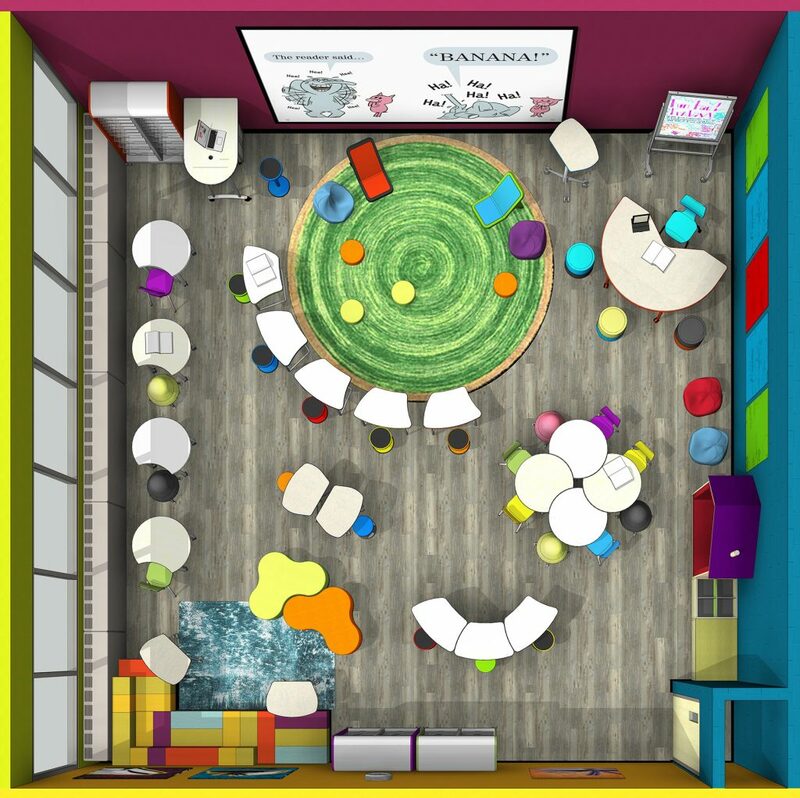 The library tied it all together by creating curriculum and training 90 paraprofessionals on providing a better customer experience through a single service point in the library. They were recognized by the Urban Library Council as a 2012 Innovator of the Year for their innovation in organization change.